President Bill Lennox continues to promote Saint Leo and support higher education throughout our community and the nation. For the May/June 2017 issue of Trusteeship, he authored “Transitioning from the 60,000-Foot View,” an essay that describes his journey from serving on the university’s Board of Trustees to becoming Saint Leo’s ninth president. He also wrote “Why Gov. Cuomo’s Free Tuition Plan Hurts Private Colleges,” which appeared on RealClearEducation.com in May. 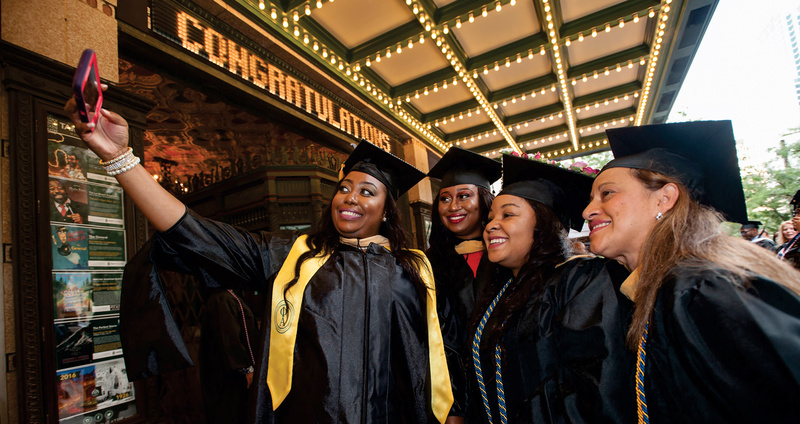 In this essay, he looks at New York’s recently created Excelsior Scholarship, which provides free in-state tuition for students at state universities and discusses how this and other tuition programs can affect all of higher education, including private universities. In March, Dr. Lennox joined Saint Leo alumni and friends in marching up Fifth Avenue for New York City’s St. Patrick’s Day Parade. The following month, he and other university administrators attended the 2017 Face the Chamber: Mayor’s Luncheon in Tampa, which was hosted by Saint Leo University. During the commencement season, Dr. Lennox attended the ROTC commissioning ceremony at University Campus and congratulated the cadets for being commissioned as second lieutenants. 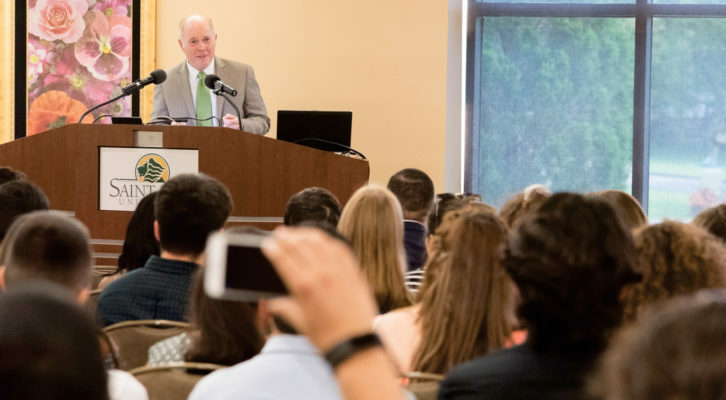 In May, Dr. Lennox was named vice chair of both the Independent Colleges and Universities of Florida (ICUF) and the Florida Independent College Fund (FICF). ICUF is a group of more than 30 independent colleges and universities in Florida that work together to offer a diverse selection of higher-educational opportunities in the state. FICF is a not-for-profit organization that collaborates with ICUF to provide expanded access to higher education for students from all backgrounds. Dr. Lennox previously served as treasurer for ICUF. In June, Saint Leo University partnered with the National Hispanic Institute to host NHI’s Collegiate World Series at University Campus. Dr. Lennox welcomed 130 high school seniors to the program (photo above) and encouraged them to reach their highest potential. 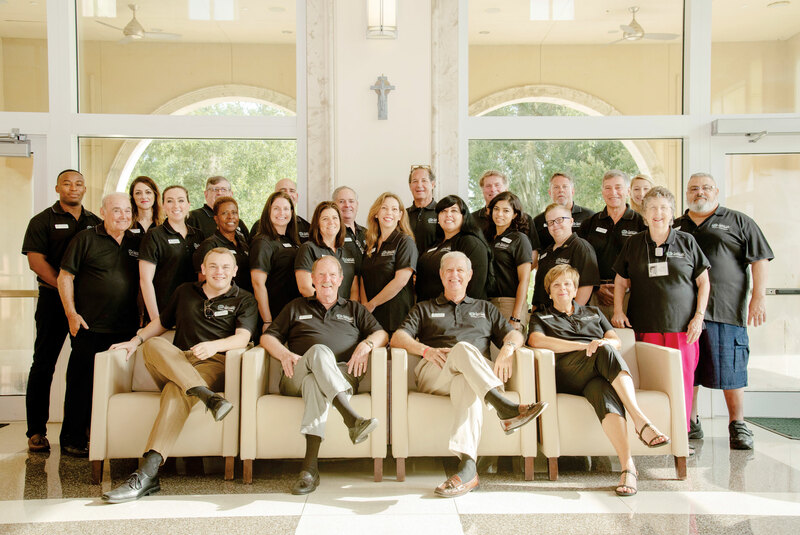 In July, Dr. Lennox welcomed attendees of the Steel Mags Summer Summit retreat to University Campus. The Steel Mags Sorority was founded in 2009 by the Green Beret Foundation to support the spouses, daughters, and sisters of those serving in the U.S. Army Special Forces.